“Underglow” lights are neon or LED lights mounted under a vehicle that light up the road surface underneath. The effect is quite dramatic as it gives the vehicle an “floating” effect. Some people believe that underglow lights provide a safety effect, especially for motorcycle riders who drive at night. The problem is, despite the fact that they mimay have some positive attributes, they are illegal in many states. Underglow lighting is regulated by laws that exist to help keep the drivers free from “distractions.” The laws generally restrict the color and type of underglow lights a car owner may add to a car. While yellow and amber neon lights are generally accepted, Dulles Kia of Leesburg, VA, a local Kia dealer says red and blue lights are often restricted because of their common use on police vehicles. Similarly, lights that flash or blink are also restricted based on their common association with ambulances and other emergency vehicles. An underglow lighting law violation is considered a civil infraction, punishable as a non-moving traffic violation. If a police officer issues a ticket that requires that you go to court, your “non-moving traffic violation” may be heard by district judges or magistrates in a district court close to where the infraction occurred. 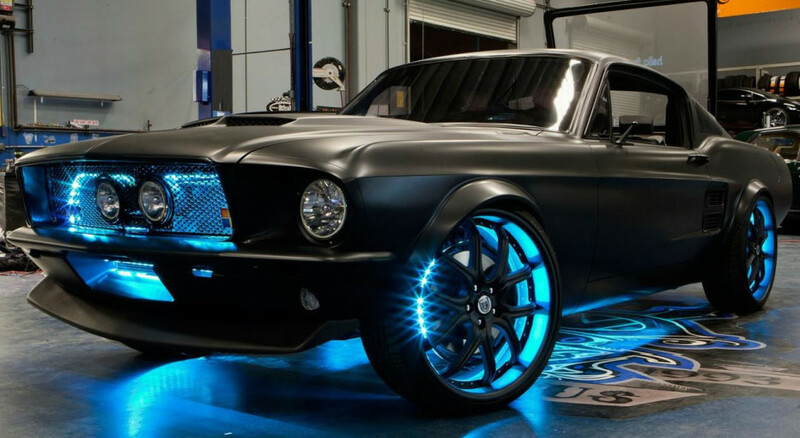 The possibilities are endless when it comes to embellishing your car with underglow lights. However, if you want to avoid having to pay fines or getting your license suspended, you should check the lighting laws of your particular state. While many states allow for some type of DIY illumination on vehicles, there are specific rules that may or may not apply to underglow lights.